When we live in our home culture, we need something to remind us of our advantages. We have relatively few problems navigating our home culture and native language, and we take that ease for granted. It is important for the privileged to move out of their ease to learn what it means to struggle with day-to-day existence. If we don’t challenge ourselves, we become self-referential and self-righteous. I decided that I needed to get into a language classroom. I’ve been fairly successful at working on languages on my own and over Skype, but having live speakers and other people on my level would be a good addition, so I turned to the internet to see what was available. Fortunately for me, I love the process itself of learning languages, so I didn’t care what language it was, only that I didn’t know the language. Since circumstances have been pushing me more towards East African languages, I thought I’d look for Somali. That’s how I ended up on the Minneapolis Community and Technical College site. I wrote in a previous post about how that community college is helping our city by offering community language courses. Unfortunately, Somali met on an evening that wasn’t free for me. Then I saw that Oromo is being taught, and after some research I found that it may be the first–if not the only–place in the country that is teaching it! So Oromo would be an adventure for me, and maybe even a historic occurrence. Saturday morning I started my course in Afaan Oromoo. Oromo people refer to their land as “Oromoiyaa,” which does not correspond to a country but a territory contained mostly in Ethiopia. 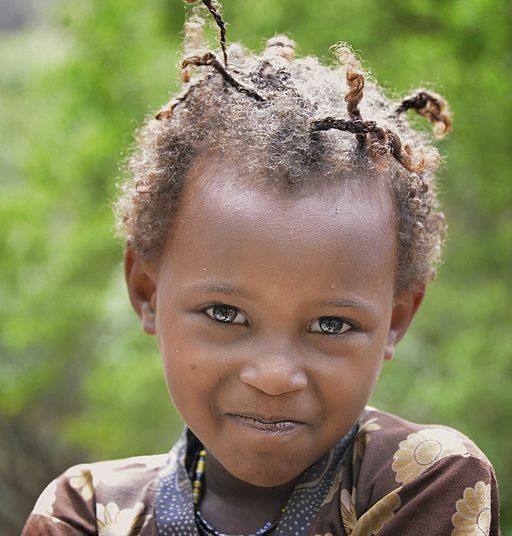 They make up 35% of the population of Ethiopia. (I wrote about the Oromo people more in this post.) The Oromo people spill into Kenya and a little into Somalia. A little under half of them are Muslim, and the same amount is Christian. The language is Cushitic, so unrelated to Amharic, the national language of Ethiopia. The class offered me a pleasant surprise. I was the first to arrive in class, and the teacher seemed to be expecting me. He even sounded like he knew who I was, because he expressed recognition when I told him my name. As the other students trickled in, the teacher addressed them in another language. Somali? definitely not. Amharic? more likely. Oromo? precisely! The teacher was already conducting conversations in Oromo, and I found out that I was the only non-native speaker in the class. This explained why I seemed to stand out even before I entered the room! The teacher explained that most students he taught grew up speaking Oromo, but wanted to study to become more literate in their language; he did not teach Caucasians often. We spent the two hour class going through the alphabet, learning about building syllables out of consonants and vowels, and reading aloud. We spent a long time reading a long poem, each student taking a strophe and reading it aloud. “Ok, Richard–your turn!” I was told. I had to muddle through an incomprehensible text about camels and shepherds and try to sound convincing. I went from ABCs to reading aloud an incomprehensible language in one hour! I was in my element, immersing myself in a foreign culture and language. Many of the readers of this blog are avid travelers, some traveling as they read this blog. I love travel, but at the moment my life demands that I stay in one place for a while. This class offered me an opportunity to move outside of Minnesota into a space where white people and the English language were in the minority, on the margins. I became irrelevant, silent. This alone is a good lesson for a Minnesotan, as it teaches us what life is often like for many of our African neighbors. The first lesson I (re-)learned was sympathy for the people around me. The teacher and the class were charitable to me. They translated for me. They introduced me to an Oromo dictionary app for my phone (Android only, for now). They complimented me for trying. It was like I was a precocious kid, very unlike my “regular” life at work and at home. I am happy to know that this class offers an experience that I haven’t found elsewhere in my city. It is a place to go when I can’t travel where life yet seems foreign, an adventure close by. I dream of an East Africa center where language, literacy, and literature are discussed and developed, where East Africans can go and use their languages with each other to enrich each other. I would want to be able to visit there, too, if they let me, because I would probably learn a ton, just like I’m learning in my Afaan Oromoo class. I am grateful that this Community College allows me to learn from my local diverse community and to move out of my day-to-day ease. If you are interested in hearing some Oromo dialogues or reading about the grammar, you can go to this Wikibook. What do you love about travel and languages? Do you have a place close by your home where you can go on a quick adventure? I get why the experience was rewarding and inspiring. Hope to read more about your progress! I feel proud while I read your experience in Oromo Language learning. I am from Oromia and ready to help you in all aspects I can. Galatoomaa! Thank you for your kind words. And thank you for your offer to help! Thank you for the kind words about our language learning center. I’ve really enjoyed hearing about how you are doing in our class and appreciate your sharing the experiences with your readers here. If anyone reading this blog post is interested in language learning at MCTC they can find out more on our website at http://www.minneapolis.edu/continuinged. We offer a number of languages for beginning language learners to the more advanced. We offer classes online, in Minneapolis and even St. Louis Park. I know only English, and I can say foods and curse words in Spanish lol, I’m really terrible at picking up languages myself and have pretty much convinced myself I could never learn another language unless forced to use it to survive somewhere. Yet the way you talked about learning a new language actually made me a little bit… excited, and curious, about the idea of it! I’m not sure I’ll be jumping into any language classes right now – as I’ve got a lot of other things on my plate – but I might have felt a glimmer that learning language could actually be more fun than scary. And that is pretty darn cool. Thank you my friend! Glad to hear it! I like languages because they’re fun and scary 🙂 The best way to start learning languages, I think, is to listen for people’s accents. They usually know a few words. I always smile when I get to learn “hello” and “how are you?” in any language. I get a big laugh when I see an Ethiopian at the airport, square my shoulders, smile, and say, “De na-ne?” “Are you good?” Super fun! haha that sounds fun! I have a friend in Norway who was actually just sharing a whole bunch about the differences between accents in Norwegian, Swedish, and Dutch language – i should start asking her to help me learn a few things! =) Thanks! You’re all set! Enjoy loving language!